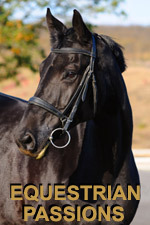 Do you have a 'Equestrian' related website? A 'Equestrian' related blog? A 'Equestrian' related forum? If so, then Equestrian Passions has a way for you to (potentially) earn some revenue. Just add an affiliate link promoting Equestrian Passions onto your site, and any of your site visitors clicking through will be 'tagged' and associated with your affiliate account. When any of these visitors join Equestrian Passions and upgrade to a paid 'Network Wide Access' account (on any Passions Network site anytime within 255 days of clicking through), you earn a commission. More information regarding the affiliate program is detailed below. The Passions Network affiliate program is a 'Network Wide Membership' that provides access to all sites within Passions Network, including Equestrian Passions. 3. And most importantly, you not only are credited for an upgrade by a member on Equestrian Passions, you are credited for the upgrade if it happens on any of the 260+ sites in Passions Network because our program is...a 'Network Wide Upgrade'!